Find your Baobab Clothing coupons or deals in this page. 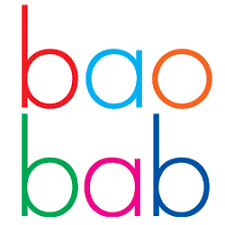 Baobab is a mini fashion brand in the boutique kidswear market, offering stylish and funky ‘everydaywear’ for babies, toddlers and kids 0-10 years old. Established in 2005, Australian Fair Trade baby and kids clothing brand baobab clothing – baobab.com.au – confidently leads you and your child into the new season with their exclusively designed collection of nature and art inspired pieces. Designed to be worn at playgrounds and parties alike, baobab pieces convey an artistic warmth that honours the energy of every child with comfort and freedom of movement. An affordable luxury, all baobab AW17 pieces are priced at under US$45.00. Designed in Australia, Baobab garments are made by our team in India. Our factory is Fair Trade certified and uses eco-friendly production processes working only with raw material suppliers who are GOTS & Oeko-Tex certified. Our factory is also focused on social responsibility to ensure their presence as a sustainable socially responsible enterprise with fair working conditions. It is a great pleasure to be working with a team who not only focus on great quality products but also have a social conscience.